CDXFindZip is a right-click function available in all versions of CDXZipStream. 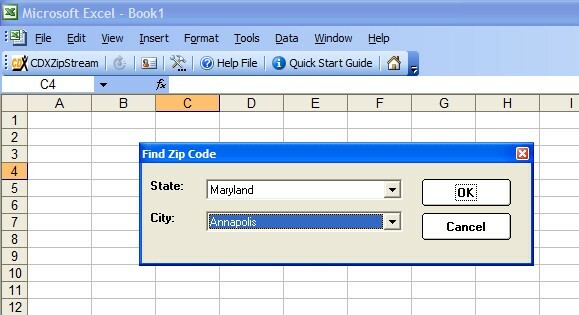 It returns all zip codes associated with a given city. It can be employed as a right-click function as well as input directly into your worksheet as a custom function formula. (Please also refer to the help section on custom functions.) If you have purchased the Canadian postal code database, you can also use it to find postal codes associated with a province and city. 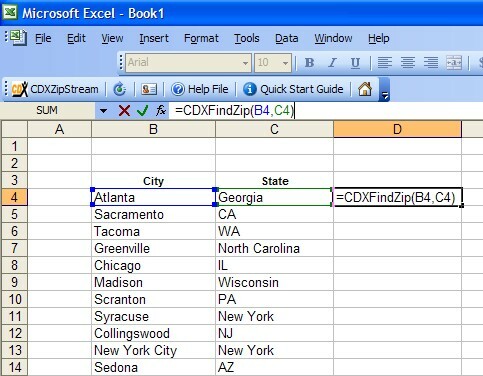 Please also refer to the Youtube video Zip Code Finder in Excel for a demonstration of the CDXFindZip function. 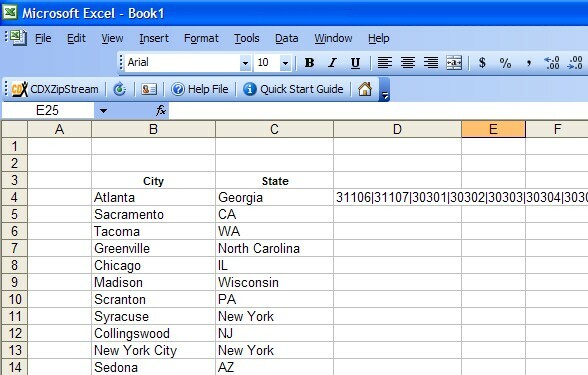 This cut and paste technique will also work if the city and state pairs are listed in rows instead of columns as shown here. 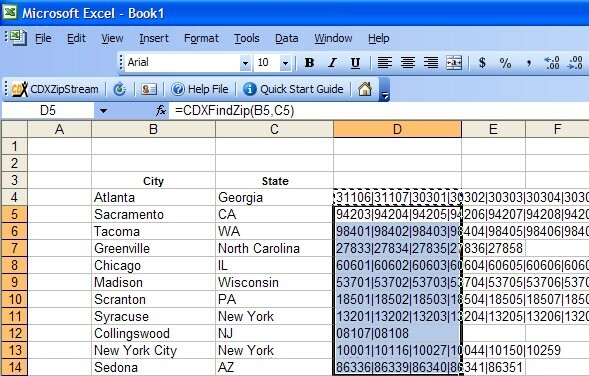 Either the full state name or two letter abbreviation can be used for the CDXFindZip function.